This guide emphasizes practical suggestions on how to confront anti-Semitic remarks. It discloses the origins of popular misconceptions, contrasts these with factual evidence, and describes recommended responses and actions. It also includes a list of web sites and annotated bibliographies for students and adults highlighting additional resources on anti-Semitism and cultural diversity. 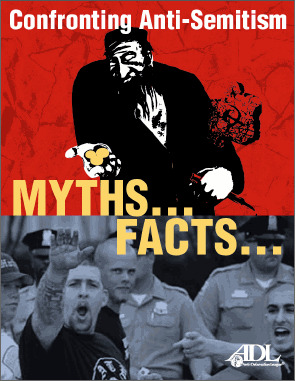 Click here for more information about Confronting Anti-Semitism: Myths... Facts.